It isn’t often that we are able to change the course of our previous actions. But, as grandparents we can! Grandparenting is a sacred opportunity to bring out the very best in our grandchildren and in ourselves. The best gift we can give them is the best of ourselves. Bring out the best in our precious grandchildren? Help our grandchildren develop their moral compass, learn some of the values that we did as children, such as courtesy, respect, responsibility, helpfulness, courage, caring and kindness? Listen fully when they need or want to talk? Listen without judgment to their parents, our daughters or sons, to help them be heard, seen and known for who they truly are, and to find their own clarity? Help them to become peaceful when they are upset? Or resolve problems or arguments where fairness and justice prevail? Nurture their spirits, give them the gift of time, with us, and on their own? 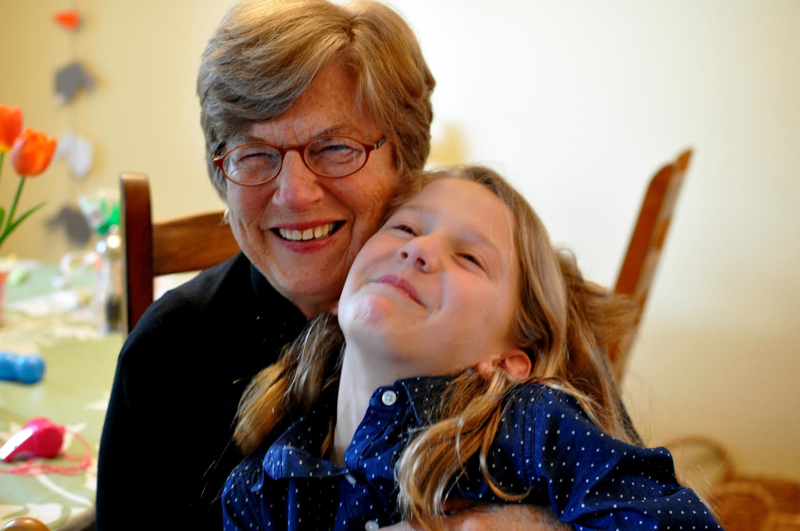 I’ve found all this and more to be true with my grandchildren and children, by using Virtues Project strategies and helping my grandchildren develop their own virtues. Will you join me on this incredible journey? Begin by reading The Family Virtues Guide by Linda Kavelin Popov. 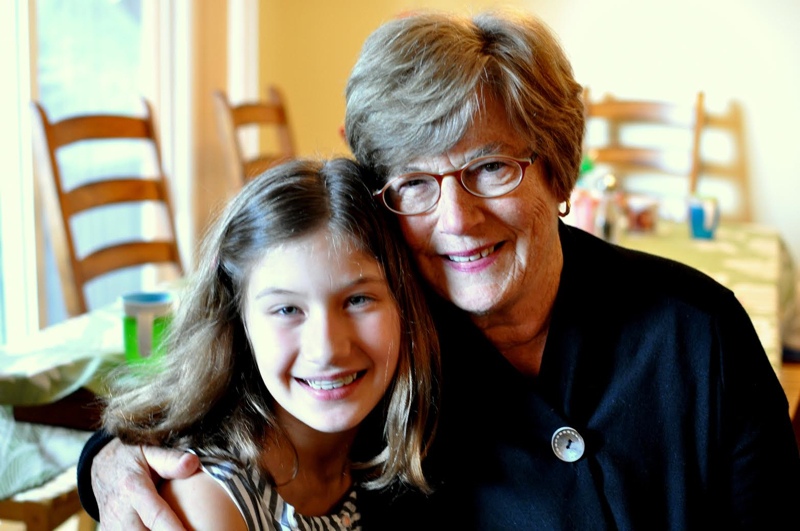 Take this course: Introduction to The Virtues Project: Awakening the Gifts of Character Online Course allows you to learn 5 practical strategies to be the best grandparent you can be. Develop your own virtues while practicing the Five Strategies of The Virtues Project in a daily Journal: Mastering the Five Strategies of The Virtues Project 40 Day Journal. To bring an Intentional Grandparenting workshop to your community, contact betsy@virtuestraining.com today. 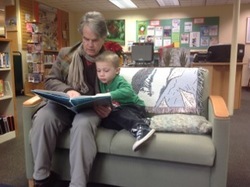 On a recent trip to the Bainbridge Island Public Library, my grandson Koen and I were seated on one of the small sofas in the children's area with a stack of books we had taken from the shelves. Then, as usual, we snuggled up and began our marathon session of turning pages and immersing ourselves in the varied pictorial and written adventures. On this occasion several children drew near as we let out a range of sounds and laughter while I read aloud. Before we knew it the kids had either squeezed onto the sofa or were hanging over the sofa back, their faces in our book. Later I commented on Koen's friendliness and kindness toward the unexpected guests. On our next library trip, Koen asked me, "Grand daddy, can we leave room on the sofa in case other kids want to listen too?" I love my grandchildren, each of them unique and beautiful in their own way. They (and all children) are the future. Is there something I can give them to use in their lives that will support their innate wisdom and powers? The Virtues Project is an empowerment project with an accompanying set of skills. Its language creates an experience that validates a person's inner beauty; a bond of mutual trust and respect is facilitated. These spoken observations give the inner qualities and capacities strength and substance; goodness is verified. What could be sweeter! At first this new exchange can feel awkward but with practice it becomes an interpersonal language. Imagine a world where people see and honor each others' goodness, rather than their weaknesses. What a wonderful possibility.